Jonathan Harman and his older brother James were like two peas in a pod. While Jonathan did not show the devotion to the Wesleyan Methodist Church as is lay preacher brother, they shared a keen in interest in farming practices and community involvement. Jonathan was born in Melbourn, Cambridgeshire in 1837. By the 1851 England Census he was the eldest child still living at the home of Joseph and Sarah Harman in Drury Lane, Melbourn. His farming career had begun with his occupation, like so many others, agriculture labourer. In 1854, Jonathan and his brothers George and Reuben, boarded the “Queen of England” for Sydney. The first record I find for Jonathan in Victoria is 1862 when he married Mary Oliver, daughter of fellow pioneers, Jonathan Oliver and Ann Richards. In 1863, the first of the couple’s ten children, Arthur, was born at Yambuk, near Port Fairy. Peter Fraser in Early Byaduk Settlers, mentions Mary’s father Jonathan Oliver living there in 1863. 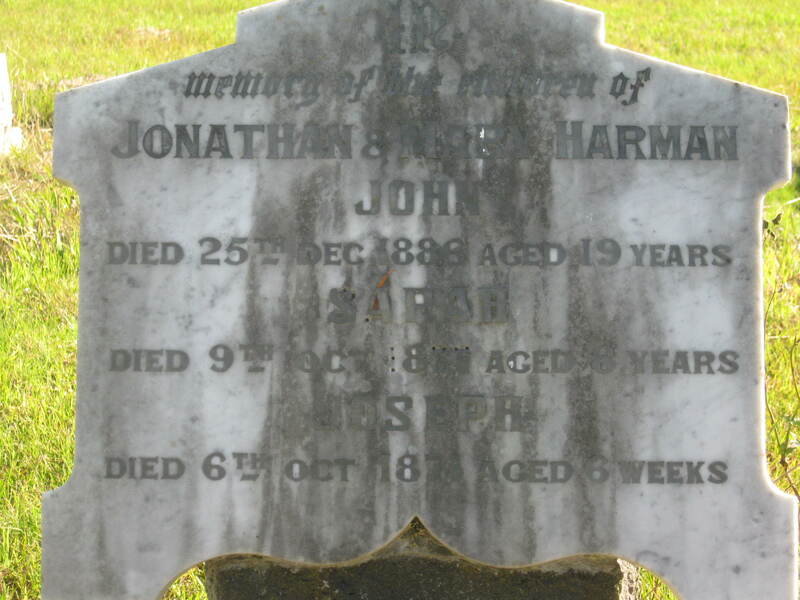 Peter Fraser also tells of James and Jonathan Harman each having a team of bullocks which they used for a carting business along the Port Fairy road, at least has far as Byaduk or even Hamilton. Also from Early Byaduk Settlers, I have discovered Jonathan was one of the first buggy owners in Byaduk, purchasing a heavy red buggy in 1875. Up until that time, most people owned spring carts which were not suitable for a trip into Hamilton. Until the arrival of buggies, the only comfortable way to travel to Hamilton was horseback or dray. That trip would have taken 4-5 hours according to Fraser. Today, the trip to Byaduk from Hamilton is only about 15 minutes. Arthur John – Birth: 1863 at Yambuk; Marriage: Ellen Mathilda Rogers 1891; Death: 1933 at Hamilton. Amelia – Birth: 1864 at Byaduk; Marriage: Chris Bell, 1901; Death: 1956 at Portland. Edith – Birth: 1865 at Byaduk; Marriage: Robert Bishop, 1901. Death: 1948 at Port Fairy. Emily – Birth: 1866 at Byaduk, Marriage: Malcolm Cameron, 1900; Death: 1948 at Heywood. John – Birth: 1868 at Byaduk; Death: 1886 at Byaduk. Mary Ann – Birth: 1869 at Byaduk. Sarah – Birth: 1870 at Byaduk; Death: 1877 at Byaduk. Joseph – Birth: 1871 at Byaduk; Death: 1871 at Byaduk. Minnie – Birth: 1872 at Byaduk; Marriage: Walt Hurrell, 1901; Death: 1953 at Warrnambool. 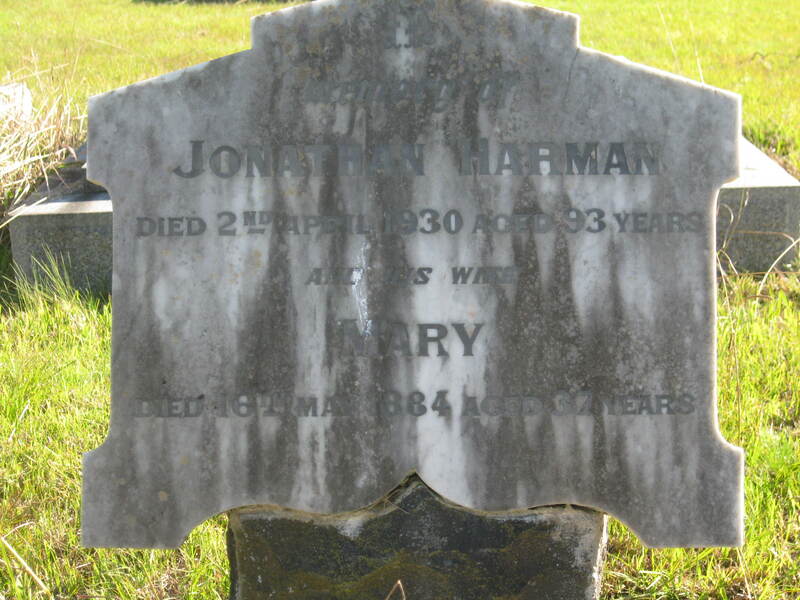 Jonathan – Birth: 1876 at Byaduk; Marriage: Hannah Waddup Keyte,1904; Death: 1941 at Ararat. Jonathan and Mary lost one child, Joseph as a baby. Sarah was only six at the time of her death and son John was 18. Daughter Mary Ann was born in 1869 but I have never found a record for her death or marriage. Joseph, Sarah and John are buried at the Byaduk cemetery and a headstone marks their the grave, but where is Mary Ann? Wife Mary died in 1884 at Byaduk at only 41 years of age. Youngest child Jonathan was only eight years old at the time. At the time of Jonathan’s death on April 2, 1930 he was living with his daughter Amelia Bell at Heywood. He was 94 years old. Jonathan’s obituary contains some interesting information. Jonathan’s arrival in Australia. It is true that Jonathan would have been around 16 when he arrived in Sydney from England with his brothers. Parents Joseph and Sarah arrived a short time after and stayed in N.S.W for several years before heading to Victoria toward the end of the 1850s. Did Jonathan leave N.S.W. before them, possible shortly after his arrival, taking a ship from Sydney to Port Fairy to join brother James? Or is this all just unreliable second-hand information as is the nature of obituaries. Even so, it is worth investigating further in my quest to pin down when all the Harmans arrived in Victoria and by what means. Amelia Harman, who married Chris Bell is listed as Millicent. Her birth name was registered as Amelia. Could Millicent been a nick name that stuck? Youngest son Jonathan is not mentioned in the obituary despite not passing away until 1941. I have always thought of him as the black sheep of the family. 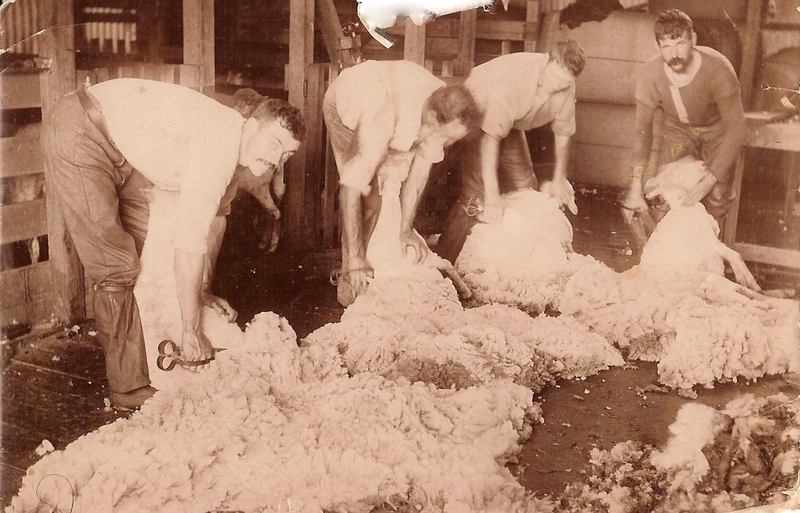 He married a girl from outside of the district, Hannah Keyte of Natimuk and he spent time in Queensland with Hannah, before disappearing prior to his death in Ararat, Victoria in 1941. Hannah was still living in Queensland at the time of his death. Is it possible that not only did he fall out with his wife Hannah, but also his family back in Byaduk? Or was it simply because the author of the obituary did not have time for him? Jonathan was buried with Mary next to their three children at the Byaduk Cemetery. This entry was posted in Harman and tagged Bell, Byaduk, Cameron, Harman, Hurrell, Keyte, Oliver, Rogers. Bookmark the permalink. I have a family member whose birth name was Amelia but she was always known as “Millie” in any records I can find. It’s a short step from Millie to Millicent, particularly if there’s no-one left who remembers what her name was originally. Thank you for your comment Rosemary, it was most useful. I did a search at Trove for Amelia and Millie and there were many Amelias called Millie. Amelia actually named her daughter Millie.